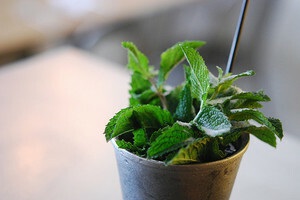 Ready for a mint julep? Photo by Flickr user Jennifer Yin. Ready to take in some sun this weekend? Catch the annual Bluxome Block Party on Saturday May 2nd. 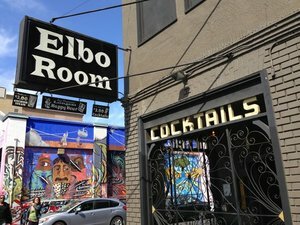 From 12pm to 6pm, the party from ~BLUXOME STREET WINERY~ will close down Bluxome Street, with wine tastings, food trucks like Me So Hungry and Sam’s Chowdermobile, and live music from The SF Rock Project House Band, The Rusty String Express, and more. There will also be fun arcade games, like Whack-A-Mole and Skee-Ball. 53 Bluxome St., closed between 4th ant 5th St., 415-543-5353. The Kentucky Derby is on Saturday May 2nd, and there are lots of places around town to watch the race and, more important, drink a nice cocktail and wear a big hat. From 12pm to 4pm, ~COMSTOCK SALOON~ will be throwing their annual Derby Party. They’ll be offering special drinks like mint juleps (duh) and Dickel White Southsides, and costume contests for best hat and dandiest fellow (with some good prizes). The kitchen will be ordering a three-course prix-fixe menu for $25 that includes the classic “hot brown” sandwich. There will also be prizes for those placing bets on the race. Proceeds benefit the Make-A-Wish Foundation, and entrance to the party is a $10 donation at the door. You can celebrate the Kentucky Derby all week long with “choose your own” juleps at ~ELIXIR~ from today until Saturday May 2nd. That means you have a choice of whiskey (Woodford, Woodford rye, Old Forester, Old Forester 100 Proof) and simple syrup flavors, with choices like cucumber jalapeño and lavender, all for $10. Then, on Saturday, the official party will begin at 11am and go until after the race and into the afternoon. Complimentary barbecue will be served with the purchase of beverages, and prizes will be offered to the ladies and gentlemen in the best hats. 3200 16th St. at Guerrero, 415-552-1633. 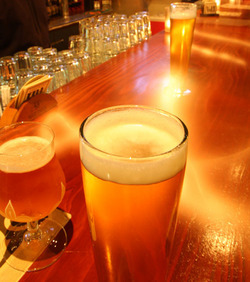 Looking to add some beer to your collection? The cellar sale from ~MONK’S KETTLE~ is not to be missed. It’s happening Saturday and Sunday May 2nd-3rd from 12pm to 4pm at the former Abbot’s Cellar location, and features many beers from the former Abbot’s Cellar collection, as well as from Monk’s Kettle. Lots of the beer is ready to drink now, and will make a welcome addition to any early summer barbecues you may be planning to attend. Check out the list and prices here. 742 Valencia St. at 18th St., 415-865-9523.